50 scientists warn official predictions don’t include a feed-back as large as all U.S. emissions: the warming soil. From the Netherlands, Dr. Thomas Crowther. From Maine, paleobiologist Dr. Jacquelyn Gill says abrupt climate change hit species before us. We’re next. In this program, we’ll talk about how creatures fell into extinction during abrupt climate shifts, sometimes within a single human lifetime. Paeloecologist Jaquelyn Gill joins us. But first, some of the most shocking science yet. From the Netherlands, Dr. Thomas Crowther speaks for a team of 50 world scientists all warning the official climate projections are missing an important carbon feed-back. As we warm, the soil will release carbon dioxide and methane equivalent to the greenhouse gas emissions of the United States. Go ahead and deny it. Appoint all the climate deniers to the top levels of government. Command the rising tides to stop, and say it isn’t happening. Nature and the geophysical reality of this planet don’t care. The atmosphere, the seas and soil are shifting to a new reality. That’s the super-Tweet rocketing around the world, and all the President’s men can’t stop it. For a couple of decades, I’ve heard scientists worry that warming the world will speed up micro-organisms that break down carbon. That could release more greenhouse gases into the atmosphere. But is it true? How can we test that? Scientists in different countries have been trying to simulate a warmer world, to see what happens to plants, and to the soil. Now a team of dozens of scientists have released a summary of those studies. It looks like added carbon from the soil alone adds a whole new need for us to cut human emissions quickly, and as Donald Trump would say, “bigly”. We’ve reached the lead author for this Letter published in the journal Nature, with 49 other scientists. It was published on December 1st, 2016. 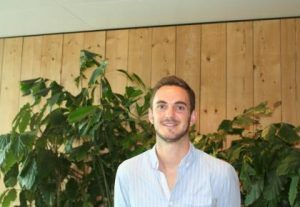 Dr. Thomas Crowther has been a Postdoctoral fellow, funded by the Yale Climate & Energy Institute. Now he’s at the Netherlands Institute of Ecology. He’s an expert in soil organisms, and extends his study to the process of climate change. You can find this scientific paper “Quantifying global soil carbon losses in response to warming” abstract here, or here in the full text. As our guest points out, this large feedback has been left out of the large-scale models that create projections of warming. That means experts advising governments, and the Intergovernmental Panel on Climate Change, have lower estimates of developing global warming than reality. Here’s another article, this time from Yale University press. Plus this from Robert Scribbler’s Blog. If we knew how species changed in the past, maybe we could help our current living companions survive. Of course, we need to know how plants and animals react to a climate shift. That’s part of what Jacquelyn Gill does. 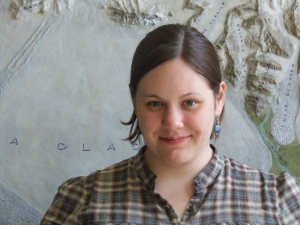 At the University of Maine, Dr. Gill is a a paleoecologist and biogeographer. We’ll find out what those terms mean, and hopefully get a glimpse of how things go extinct, just in case we need to know ourselves. Officially, Jacquelyn Gill is an assistant professor with the University of Maine School of Biology and Ecology, and the Climate Change Institute. She’s co-authored and been lead author of a series of papers that are redefining how we think about conservation, in a time of climate change. A few of those new tools and visions seem a bit scary to me. You should check out Jacquelyn’s blog “The Contemplative Mammoth.” Her web site is here. OK, now for the scary part. My take is that deep biologists realize we can’t save all the species, and maybe can’t even save many of them, as the climate shifts. So many species won’t have the capability to move, the time to adapt, the skills to find new food or shelter. So the experts are now considering a kind of triage, where triage is the process of judging the most important pillar species of the ecosphere, and working to save them first. That may leave others to die, but we have very limited resources for conservation biology (and even that may shrink under Donald Trump). To dive deeper into this harsh reality, check out this founding paper, published in Conservation Biology in April 2015. The title is “The theory behind, and the challenges of, conserving nature’s stage in a time of rapid change”. The lead author is Joshua J. Lawler, with Jacquelyn as one of the co-authors. Find the abstract here, or the full text here. Here is an article in Rolling Stone you may also want to check out: The Point of No Return: Climate Change Nightmares Are Already Here. There’s also this article all about Jacquelyn from the University of Maine. FYI, you can find a description of climate shifts during recent ice ages here. So we’ve talked with one of the younger leading lights of both the past and the future for species on this planet. Thanks for sharing with us Jacquelyn! ARE WE ENTERING THE NEW AGE OF CLIMATE “ENDARKENMENT”? That’s on top of the Trump teams threats to cut two billion dollars in climate research at NASA. Welcome to the new dark age, where the religion of money trumps reality. Thank you for listening to Radio Ecoshock, where I’ll continue to pump out climate science direct from the sources, as long as my brain and breath continue. I’m Alex Smith. Please tell your friends, and anyone who will listen, about this program – and join us again next week for more. In the show I played my new song “Once You Know the Future”. You can listen, download or share it at Soundcloud.com. McPherson noted that only small burrowing mammals could survive in the hotter regimes that have dominated our planet’s past. A 4C rise above our baseline that we depend on would leave larger mammals unable to thermo regulate over the majority of the planet for significant periods each year. We may be doomed. What do you think? you aware of roger angel’s work at ua to create a non-toxic, reversible, space-based sunshade to overcome global warming that will be or already is past the tipping point? move species and humans towards poles. Expect voluntary or involuntary population reduction. Oppose racist anti immigration politicians in Europe and US.